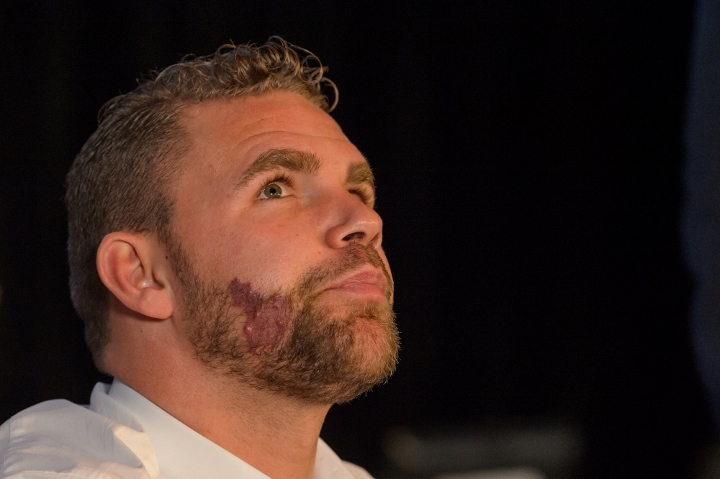 Ahead of his next World Title defence, Billy Joe Saunders has ditched the traditional pre-fight diet. Instead, he has turned to kangeroo and ostrich meat as he gets set to defend his WBO Middleweight crown against David Lemieux. "I know it's a bit different from the normal meats a boxer might eat, but they both contain plenty of of protein with hardly any fat to talk of," Saunders told The Sun. "My nutritionist cooked a meal for me one night when my session at the gym ended and after I ate it he asked me what I thought it was. I replied 'steak'. I was surprised when he told me it was ostrich and that at another meal I'd eaten kangaroo." While the Hatfield boxer was not expecting the switch up in diet, he has welcomed the change: "The ostrich looked like and tasted like steak and I had no trouble eating a kangaroo burger," he revealed. On December 16th, the Champion travels to Montreal, Canada - Lemieux’s home soil. Trainer Dominic Ingle has implemented some 3am training sessions to combat the time difference when Saunders will actually be fighting at Place Bell, which is five hours behind London. "That is the first of four sessions I do on some days. I'm back in the gym doing short bursts of training and sparring at 6am, 11am and then 4pm," said Billy Joe. "I'll eat and get some kip between 11 and four and by the time I've finished the last session I'm ready to crawl into bed. "The idea of training at 3am is to get my body clock adjusted when I am in Canada. 3am here is 10pm in Canada, and that's around the time I will be fighting Lemieux," he added. Since linking up with Ingle in the summer, Saunders has drastically improved his fitness. Both he and his coach recognise that Lemieux will be his toughest test to date with a potential unification against Canelo Alvarez or Gennady Golovkin planned for next year. Buy BoxNation to watch Billy Joe Saunders v David Lemieux, part of our action-packed schedule to end 2017. Maybe he should wash it down with Marquez's urine. [QUOTE=Slowhand;18175435]What, no hedgehogs? This will end in tears.. :theyareon[/QUOTE] If he doesn't use powdered Rhino Horn as garnish, it will all go to waste.